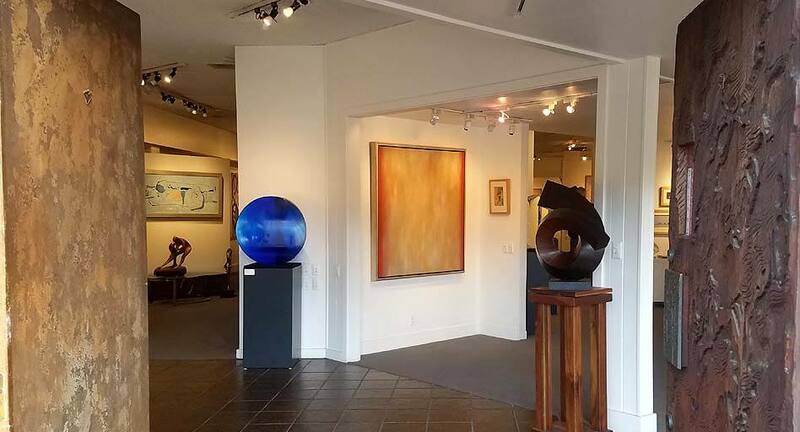 Modern Art Dealers is a modern art gallery located in Carmel, California. We specialize in modern art paintings and artwork by world-renowned Modern, Post-War and select Contemporary artists. In addition to modern art paintings, we also deal in sculptures and art glass by modern abstract artists. The mission of Modern Art Dealers is to provide fine art collectors with a trusted and reliable venue that adds value to their collections. In addition to our Carmel, CA gallery, a significant number of transactions are conducted privately through our art brokerage operations. These private transactions offer the utmost in discretion for private consignments and acquisitions. Our services include professional crating and fully insured shipping, worldwide. Each painting, sculpture or other piece of modern artwork offered by our modern art gallery has been through an extensive screening process. Through our expertise and that of world class experts, we are confident in providing opinions relating to quality, condition and authenticity. At Modern Art Dealers you have access to some of the best minds in the fine art business. Unlike many modern art galleries, we stand behind our offerings and give you a lifetime guarantee on the authenticity of your purchases. Modern Art Dealers provides collectors with assistance in building, managing and refining their collections. Our unparalleled commitment to excellence is evidenced by our repeat business and referrals from our clients, to whom we are truly grateful.